A whopping 300 million people toured the national parks in 2015—a number so large that the National Park Service is actually weighing the possibility of visitor caps. Not every park is so busy, though; the least-visited parks, which get a fraction of the NPS’s total headcount, are in Alaska or American Samoa. 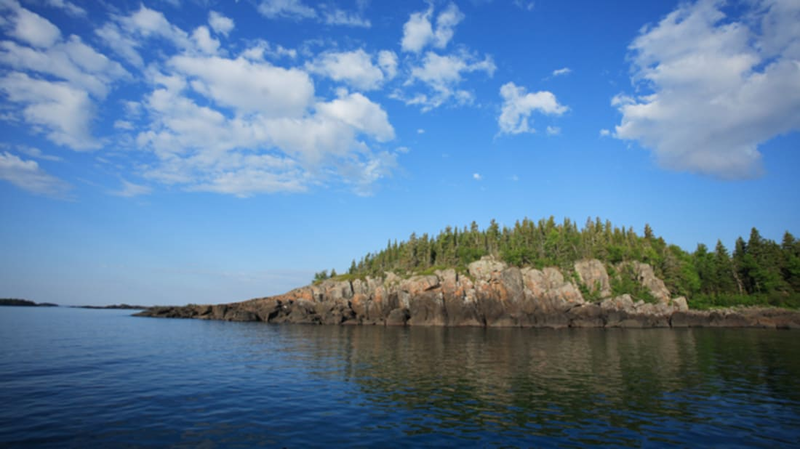 In the contiguous United States, however, the honor of least-visited park goes to an island in the middle of Lake Superior called Isle Royale National Park. The low attendance isn’t due to its lack of splendor or dull landscapes, but how hard it is to get there. Isle Royale is only accessible via boat or seaplane, the former of which can entail a trip lasting anywhere from an hour and a half to five hours depending on where you’re departing from (boats leave from a few locations in Michigan and Minnesota). As a result, the annual number of visitors to Isle Royale is around 16,500, which is roughly what Yosemite gets in a single day during the month of June—not even the busiest time of the year. Those who do make it to Isle Royale tend to stay a lot longer than other parks' visitors—three and a half days vs. four hours—and with good reason. The park, established on April 3, 1940, is a National Wilderness Area and an International Biosphere Reserve made up of 894 square miles of wilderness. Wolves and moose roam the land, and predator-prey interactions on the island have been studied for nearly 40 years. There are miles and miles of trail to hike, camping, kayaking, fishing, and more. And best of all, you can often partake in your activities of choice in near-isolation—just you and nature—which, really, is sort of what the parks are all about.